Most families are spending the majority of their weekly budget at the supermarket. It makes sense then to really look at how we can consistently spend less on one of our major expenditures. Here are seven, far-from-life-changing ways to cut your grocery bill. According to Food Wise, we discard about 20 per cent of the food we buy – equating to about $1000 a year. That’s not only bad for our pockets, but for the environment as well. Writing a weekly menu lets you plan and be clever in all sorts of ways: need half a bottle of cream for one recipe? Then find another recipe that uses the other half. Making spaghetti bolognese one night? Double the recipe, and use the mince in an economical cottage pie. Another good tip: go online and see what’s on special at your local supermarket, then design your menu around that. 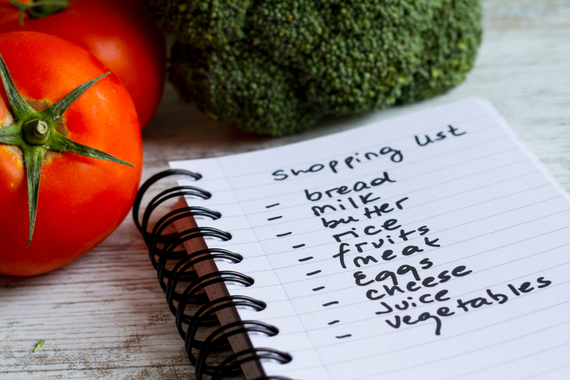 Once your weekly menu is complete, then it’s time to write a shopping list. The Australian Healthy Food Guide says a shopping list will help stop impulse buys and stacking up on items that look good, but you may never get around to eating. Start by checking what you already have. And here is the golden rule: do not buy what is not on the list. There’s nothing like a couple of children whining for biscuits/ lollies/drinks to add substantially to your supermarket bill. Not to mention the temptations at the checkout. 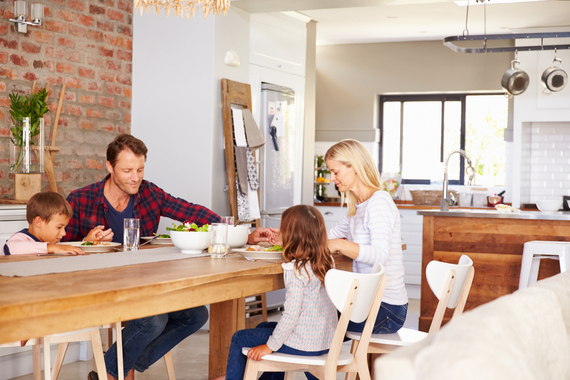 Try to schedule your weekly shop for when someone can be home with the kids: maybe on a Thursday night or on a weekend, when your partner is home. We’ve all had that feeling of roaming the grocery aisles when we’re hungry. Those chips and biscuits and chocolates and snack foods look particularly tempting on an empty stomach. So ensure you have eaten before you head to the supermarket. It pays to know what fruit and vegetables are in season (the Seasonal Food Guide has a good region by region resource) because they will not only be cheaper but better quality, too. Buying imported strawberries in August is going to cost you a lot more than opting for oranges. Also, several supermarket chains are now selling less-than-perfect fruit and veg for substantially less than their pristine cousins. Buying imperfect carrots, for example, could save you about $1 per kilo. Eating less meat is going to really help with your budget. Thinking about a chicken curry? One kilo of chicken thighs will set you back about $10. Why not consider a chickpea curry – a 400g can of chickpeas is one-fifth the price at about $2. Beans and legumes can substitute for meat in a whole range of dishes, from enchiladas to a chili. A lot of food can go to waste because it’s been stored incorrectly. Having your fridge set at the right temperature is crucial: the Federal Government’s Your Energy Savings website says this should be between 3°C and 4°C for the fridge and -15°C and -18°C for the freezer. The CSIRO has some very useful information about storing perishable food on its website.